With the extreme polarization of American politics, I’ve been seeing a lot of discussion about possible changes to our elections. Should we abolish the Electoral College? Do we need a stronger chief executive? 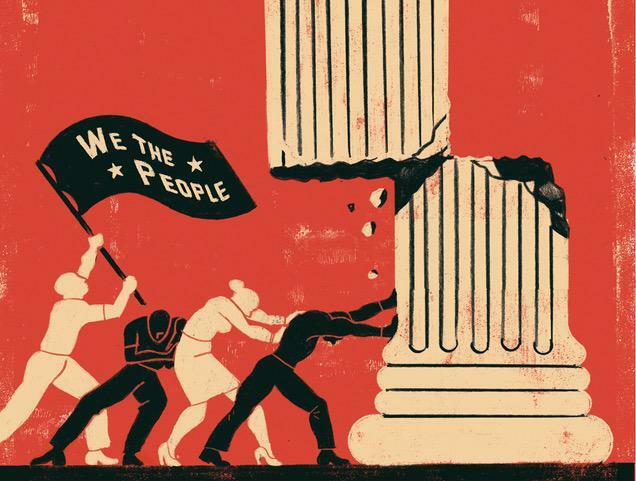 How do we make our democracy more responsive? I’ve recently listened to a podcast that discusses this issue in detail — “Tweak the Vote” from the NPR program Radiolab, dated November 5, 2018. With movement toward the political right in so many countries, what is the message? Is this wave of right-wing candidates an expression of parochial self-interest? Or does something fundamental need to change in Western electoral systems? In other words, in the age of near-instant communication and social media, how do we bring democracy up to date? Here is one proposal — what if you were presented a list of candidates for public office and could rank them in order of preference from one to five, six, however many candidates that were running? If your first choice for the office wasn’t going to win, your vote would be transferred to your second choice. If that candidate was also eliminated, your vote would move to your third choice, and so on. Would you feel more empowered? Would your vote be more important? And what would happen to negative campaigning? If you had a chance to win by being the widespread second (or third or fourth) choice, would you pull back on the negativity? Remember, Abraham Lincoln won the Republican Party’s 1860 nomination for president by being everyone’s second choice. If you’re thinking, “well, that’s Europe,” this system, sometimes called “ranked-choice voting,” (https://ballotpedia.org/Ranked-choice_voting_(RCV)) is being tried in this country. The podcast recapped the 2018 San Francisco mayoral race, which showed how some interesting candidate strategies could emerge. In any event, it’s something to consider as we look “forward” to another general election next year. Listen to “Tweak the Vote” at https://www.wnycstudios.org/story/tweak-vote. The illustration came from that site.